A weekend break can be costly, but when you stay at the Ajax Hotel you get excellent value for your money. Well priced accommodation offers luxury and attention to detail without breaking the bank, and with so many excellent facilities on hand, you can relax and enjoy your surroundings, making the most of all this hotel has to offer. When you book a great deal with the Ajax Hotel you’ll have some extra spending money left over to indulge in a little retail therapy while you’re exploring the fabulous array of shops in Limassol. The Ajax Hotel certainly has a lot to offer when it comes to relaxation! Holidays are all about taking it easy and you can do that in style here. 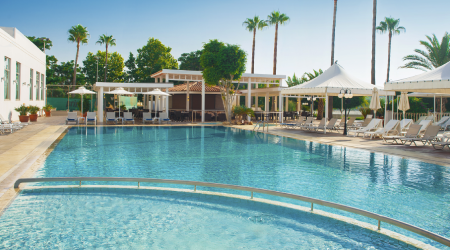 Spend time around the beautiful outdoor pool, reading a book or simply soaking up the sun’s rays. Why not treat yourself to a cocktail, delivered directly to your sun lounger? In addition to the outdoor pool, there’s also a heated indoor pool, and if you’re feeling a little more energetic, how about a game of tennis or a session in the fitness centre where group and personal lessons are available. A little pampering should also be on the cards on your break, and there’s plenty of that available too! You can spend time in the spa, relax in the jacuzzi, enjoy the health benefits of the steam bath or ease those aching muscles with a massage. There’s even a hair salon so you can have a new style ready to show off when you return home. It’s wonderful to relax, but it’s also lovely to explore a little when you’re on your weekend break. The Ajax Hotel is so well situated for exploring everything that Limassol has to offer. You’ll find a wide range of shops within easy reach, and a visit to the beach and marina is a must. Why not take a stroll along the sea front in the evening and watch the spectacular Cyprus sunset? Cyprus is steeped in culture and history, there’s so much to discover, so make the most of your break and get out exploring this fascinating city. 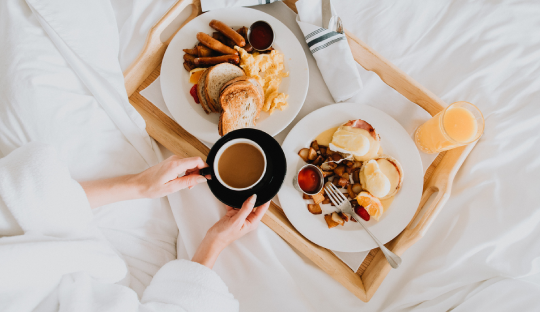 Every good day starts with a great breakfast, and when you stay at the Ajax Hotel, you’re spoilt for choice at breakfast time. With a wide range of options, there’s something for everyone, whether you want a light healthy bite, or you fancy indulging in a filling and hearty breakfast to see you through to lunchtime. Breakfast is served in a beautiful restaurant and is available until 10:00am for those who prefer a little lie in on their holiday. The Ajax Hotel has a fabulous Member’s Club. You can sign up straight away and get 5% off your very first visit! It’s very simple to join and it’s totally free of charge. The more times you visit the hotel, the greater the discount you’ll receive, and you’ll always be kept in the loop with any new offers and discounts. These are just some of the benefits of booking your weekend break at the Ajax Hotel. The joy lies in finding out the other benefits for yourself, so why not book your next weekend break now with our easy online booking system. Book your break today!